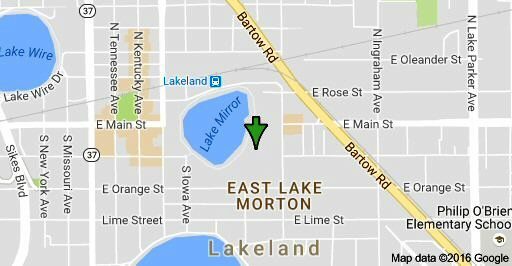 The Lake Mirror Center is located at 121 South Lake Avenue on beautiful Lake Mirror in downtown Lakeland, Florida. After attending the Doll Show at the Center, enjoy a stroll on the newly renovated Promenade on the shore of Lake Mirror. Follow it west to beautiful Hollis Gardens, a formal botanical garden donated to the city by the Hollis family, which started the Publix grocery store chain based in Lakeland. 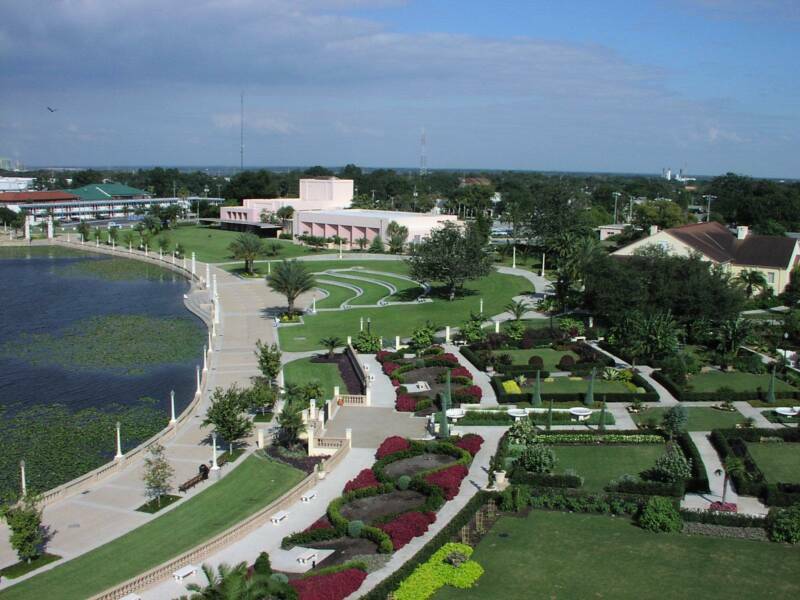 View of Lake Mirror Center, light colored building in the back, and Hollis Gardens on the shore of Lake Mirror. Map to Doll and Bear Show location. Click on map for more detail.